If you search in your app store, there are many apps you can find and download to record and keep track of what you eat, and your daily caloric and nutrient intake. I needed something like that for me to be able to keep track of my spending. Something automatic, so I wouldn’t have to remember. Something that would catch every cent, so we could have a clear picture of where our money was going. One of the features of Mvelopes is the Reports section. I love this section! In the reports section you can pull summaries of your monthly spending. Choose from a 3-month, 6-month, 9-month or 12-month time period, and it will break down each envelope, how much you spent in each category each month, and give you monthly averages. This feature has been so helpful for us as we have pulled various reports. Through Mvelopes, I track my spending and, through the reports, I can see, right in front of me, where our money went. But, let’s back up. So, why is tracking expenses important? Well, first off, it is eye-opening for sure! I had a good handle on where our money was going, but by tracking it and running monthly, quarterly, even annual reports I could begin to see patterns and take stock of the big picture, as well as the small details. I could look to see if we were spending in alignment with our values or goals, and if adjustments needed to be made. Small adjustments can lead to big progress. Tracking expenses lets you evaluate where your money is going, and if your spending aligns with your values. I had a client who sat down with her teenage children, and her husband and showed them that they had spent over $600 eating out last month! They were actually trying to save for a vacation, and they had a nice family discussion about whether they value eating out more than they value the big vacation they were working towards. Together, they decided to cut spending on eating out drastically, and accelerate their vacation fund. 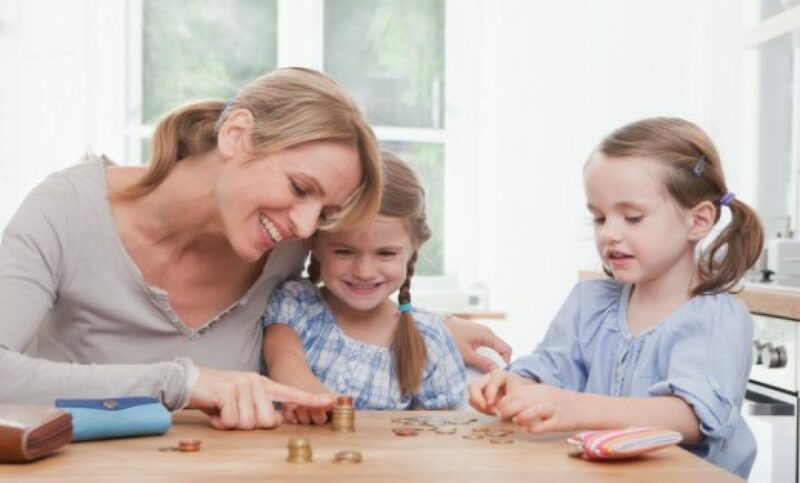 Not only did they gain awareness, evaluate, and realign their spending based on their family values, but this awareness also helped my client to be able to present to her family the evidence – the actual numbers. The family could see, could decide, and could take action on what their course would be, what they valued as a family, and work together as a team. Instead of mom being the ‘bad guy’ and telling everyone they couldn’t go out to eat, they were united in a common goal, and worked together to help each other. Who knew there was so much power in tracking your spending? -My meal planning and shopping tactics are working and I am staying at or under budget on groceries almost every month! -We are overspending on our gas budget. This realization helped us analyze our driving habits, and ultimately determine that we were being efficient and needed to make the gas budget higher. -I was able to see how much we spent on Christmas and make a plan to save each month so that when December comes I will have cash ready and available to use for Christmas. In fact, all of our periodic expenses have become better budgeted for because of the awareness we gained from tracking our spending. We now save monthly for periodic expenses like Christmas, car insurance, car repairs, car registrations, dental and medical costs, and even our quarterly pest control service. -We were spending money on a few things that we really didn’t value, but that were just convenient. We were able to shift that spending to a vacation fund instead, which is better aligned with our values and family goals. -Although we don’t have much debt left, tracking spending showed us just how much goes to paying off debts. In a 12-month period we were able to see how much went toward these obligations, and this was extra motivation to get them paid off so that we could keep that money and use it for the future, instead of paying for the past. -We are giving more than we thought we were, which was such a happy discovery . We try to be as generous as we can, but usually only give small amounts. By tracking our spending and analyzing where our money is going, we discovered that we were giving often. -My husband and I could be on the same page. I could show him where his hard-earned money was going. It used to be gone, with nothing to show for it, but now I can show him where it’s going each month and we can be sure we both agree on where it’s going. I am so grateful for all that my Heavenly Father has blessed us with. I want to be sure we are being wise stewards of what he has given to us. Like the scripture says in 2 Nephi 9:51, “Wherefore, do not spend money for that which is of no worth, nor your labor for that which cannot satisfy.” Tracking our spending helps us show ourselves and our Heavenly Father that we are making good choices with the means he has given us. Tracking our spending is the first step to taking control of our finances, and showing Heavenly Father that we are grateful for the abundance He gives to us, and that we want to use it the way He wants us to. I encourage you to find a way to track your spending. Whether it’s a pen and paper, keeping receipts, compiling all of your bank and credit card statements and going through them, using an app like Mvelopes, or another one designed for this purpose, find a way that works for you. I chose Mvelopes because it is easy and automatic, and that means I will actually do it. Find what works for you and start tracking. At the very least, track for three months. This should give you a pretty good idea of your spending habits. The first step to making changes or improvements it becoming aware of where you are and what is going on right now. Like a road map, you have to determine where you want to go, but also where you are at, in order to make your plan and route your progress. Creating your net worth statement, and tracking your spending are your first steps to knowing exactly where you are, so that you can develop your financial roadmap to where you want to be! Here is a link for Mvelopes, in case you want to check it out: http://mvelopes.ltroute.com/click.track?CID=355693&AFID=414740 (Click on features and plans to see the different options. The basic is $4.99/month to use the app, up to $59/month, which includes monthly financial coaching). My grandpa was Armenian. That makes my mom half Armenian, and me one-quarter. However, the Armenian people are a very unified people, and a very strong, proud people. I know more about and am more proud of this culture and this part of me, then the other 75% of what makes me. Let me tell you why. Turkish sultan, Abdul Hamid II was infuriated by the Armenian campaign to win basic civil rights. Between 1894 and 1896 a state-sanctioned pogrom was carried out. (What is a pogrom? “Pogrom is a Russian word which, when directly translated, means “to wreak havoc.” Pogroms typically describe violence by Russian authorities against Jewish people, particularly officially-mandated slaughter, though the word has been extended to the massacres of other groups as well.”) Hundreds of thousands of Armenians were murdered in their villages and cities. On April 24, 1915 the Armenian genocide began. “On April 24, 1915, the Armenian genocide began. That day, the Turkish government arrested and executed several hundred Armenian intellectuals. After that, ordinary Armenians were turned out of their homes and sent on death marches through the Mesopotamian desert without food or water. Frequently, the marchers were stripped naked and forced to walk under the scorching sun until they dropped dead. People who stopped to rest were shot. At the same time, the Young Turks created a “Special Organization,” which in turn organized “killing squads” or “butcher battalions” to carry out, as one officer put it, “the liquidation of the Christian elements.” These killing squads were often made up of murderers and other ex-convicts. They drowned people in rivers, threw them off cliffs, crucified them and burned them alive. In short order, the Turkish countryside was littered with Armenian corpses. Taken in 1938 or 1939. My grandpa is the little boy in front, biting his lip. Prior to the 1894-96 pogrom there were an estimated 2 million Armenians in the Ottoman Empire. When the genocide was over in 1922, there were just 388,000 Armenians remaining in the Ottoman Empire. As I have tried to do my family history on the Armenian side, I have hit the wall of language barriers, as well as lack of records (I think. I don’t know the language, so it’s hard to search for records). As I have discussed with family history specialists they have reassured me that there are records. When something as severe as a genocide happens to a people they become unified and determined to keep the records. I have been assured that the records will surface someday and they will be helpful. At the same time, I have been feeling strongly that I need to look into my great-grandmother, Maritza Kapelian’s, family. Her mother was Rebeka Khandjian. Rebeka died when Maritza was young and her father re-married. His second wife, Vartouhi Shavekelian, was kind and the family loved her. I know that Rebeka is grateful to Vartouhi for caring for her children and family. I would like to find Vartouhi’s information to be able to do her temple work. This topic has come to mind today because of one of my daughters. She is strong-willed, determined, and often defiant. If I tell her one thing, she does another. The more I enforce, the more she pushes back. Punishments don’t seem to bother her. The act of defying is more satisfying to her, than whatever punishment may be the consequence. set and frustrated. I have taken parenting classes, read books, prayed, studied, put her name in the temple. As I was praying yet again today, I had the impression that I could ask my family for help. My family that have already passed on. My Armenian family. The Armenians were (are!) strong, intelligent, hard workers. They were strong-willed, determined, and defiant. They were committed to their cause. They were Christian and would not deny Christ in order to keep the peace, or to survive. They were massacred because they would not deny Him. And they can help me with my daughter. Because they understand. Because they are partly why she is who she is. Because those very same traits that I think are a ‘problem’ helped them survive and take a stand. Because they are the reason I am who I am. away in 2011. I felt their spirit and know they accepted and are grateful. As I continue to try to make headway to find more information in the Soghanalian and Kapelian family lines (and anyone who can translate for me!) I also seek their help to understand and nurture my daughter who needs to learn how to be a peacemaker in her home, but also needs to develop and nourish her strong, faithful attributes. And to help me to be patient, and have wisdom in my relationship with her. I am proud of my heritage, I am proud to pass those traits on to my children so they, too, can stand for the cause of Christians. I hope Rebeka and Maritza and my grandpa can help my daughter and myself to be who we are meant to be. Will you please take this short survey for me? Pretty Please? It shouldn’t take you longer than three or four minutes. Baby Makenna says Thank you! I have been reading a book this week that has changed my perspective just a little bit on money and how I spend it. The author of the book states: “If I have a book and you have $20, and we mutually decide to exchange my book for your $20, what were the book and the $20 worth to you? What were the book and the $20 worth to me? Most people answer that the book was worth $20 to you and me. This is wrong. We only give up something in an exchange when we value what we’re receiving more than we value what we’re giving up. Hence, there is no way to quantify an exact amount that the book or the $20 was worth to you or me. All we can conclusively say is that to you, the book was worth more than $20 and the $20 was worth less than the book; to me the book was worth less than $20 and the $20 was worth more than the book. We both walk away wealthier than before the transaction because we both have something that is worth more to us than what we had before.” (Killing Sacred Cows, by Garrett B. Gunderson, page 14). This sparked some thoughts in my mind about my relationship with money. Do I really value what I am exchanging money for, more than the money itself? Does what I am spending mo ney on reflect my value system, and my goals? Does what I am exchanging my money for provide more value to me than something else I could be receiving instead (opportunity cost)? In the book example above, I may feel that the book is worth far more than $20 for whatever reason. Maybe I feel the knowledge I will gain from the book is invaluable, maybe the personal enjoyment of reading is ‘worth’ more than $20. Maybe what I learn from the book will help me earn more than $20. However, to you, the book may not be worth even $5. Maybe it is a boring topic for you. Maybe you don’t enjoy reading. Maybe it is knowledge you already have. For you, giving $20 in exchange for the book would not be a valuable transaction, nor would it reflect your value system. I want to be sure that the money I exchange is exchanged for things that I value. Personally, I have found that I value experiences, memories, and skills over material items. That is why I exchange money for things like horseback riding lessons, dance lessons, memberships, and activities, instead of toys, clothes, and dining out. This isn’t good or bad, but simply a reflection of my value system. Does your spending reflect your values and your goals? Maybe what you think are your values, and what really are your values are different. You can learn a whole lot about a person by what they choose to spend their money on. As you track your expenses, and look at your spending patterns and habits, you will be able to clearly see what you value. And, if your money is not being exchanged for things that you value, it is time to evaluate why, and make changes. If you don’t like what you see, try ‘practicing’ exchanging your money for things that you really do value, and pass on the things that really aren’t important to you. See what happens. See how you feel. I am happy to exchange some of my means to the power company so that I can enjoy heat and light. I am glad to exchange money for fuel to put in my car so we can go fun places to learn new things. When I use the word exchange, it helps me think twice about what I am exchanging for. Is this exchange really something that is valuable to me? It helps me realize that what I do with my money and means really is my choice, that I am acting on it, and not being acted upon by outside forces. This new paradigm about money, and new way of thinking about what I do with it, has helped me rethink my spending (my exchanging, if you will) and my values and goals, and if they are in alignment. I find myself stopping an exchange when I realize I am just participating because I am bored or sad, or because someone else already has it (competition, jealousy), or to impress someone (vanity), etc., but it really isn’t something that I value. I think a lot of money conflicts in relationships can be traced back to this idea of value. Spending money isn’t the issue, it’s that one partner values what the money was exchanged for, and the other doesn’t. This is yet another reason why communicating about your values and goals as individuals, as well as a family unit, can help alleviate some confusion and misunderstanding. If I know my husband values something, and he would like to exchange money to obtain it, I am better able to understand why he feels it is a worthwhile exchange, even I don’t feel the same way. This small paradigm shift has opened up a new way of thinking about what I do with my money and where I let it go. It has also helped me to rethink my exchanges to be sure they are really bringing me value, and closer to my goals. I’d love to hear what you think about this idea. Leave me a comment, and let me know! Familiar Mom Problems, Which One Do You Want To Overcome First? The Mom conference is in full swing! It’s three days of interviews and speakers on topics that are for moms! The conference started yesterday, and continues today and tomorrow. The interviews are available for 24 hours. Or, you can buy the package for $67 and have lifetime access to the interviews, to watch and learn from as often as you need! There’s an additional package, for $97, that includes a whole bunch of extras, books, worksheets, etc. that are invaluable. I just wanted to let you know about this, because it’s such an AWESOME resource for moms and women! I’ve learned many things that have helped immensely, in my relationship with my kids, and, especially with myself! You work hard to put dinner on the table, make sure your kids don’t look homeless, and run them around to soccer, dance, and piano. Sometimes it feels like a vacation to go to the bathroom alone, or on a solo shopping trip to Target. You equip them with everything they need clothes, food, a bed to sleep on, but how do you equip them with kindness, respect, and self-motivation? Your deepest desire is to raise successful adults but how do you teach them what they need to be successful now? And what about you? You need a break, but feel guilty taking one. As a mom, you wonder how to do it “all” and still have time for yourself. While I wish I could help you get the kids to bed, pick up groceries for you, or watch your kids so you can go out on a date with your husband. What I can do is even better. I can give you practical solutions from experts on the hard stuff that parenting throws at you. With over 20 personal interviews on these hard topics with your favorite authors, speakers, and bloggers at The Mom Conference. The Mom Conference is a totally FREE three day online event. It starts October 17,18, and 19th. You can listen while you fold laundry, do the dishes, or during nap time. Attend the conference with over 75,000 moms around the world and come away armed with powerful new strategies for everything from sibling rivalry to meal planning to finding more joy in motherhood. There are so many hard situations as a mom that you wonder if you are handling things the right way. Sometimes all we need is a paradigm shift or better tools. And to help you avoid procrastination (we know how it goes! ), if you register RIGHT NOW, you’ll have access to the following FREE GIFT as soon as your registration has been completed! – A FREE Listening Guide for Dr. Laura Markham’s interview on sibling rivalry. Get a sneak peak on the key take aways from her interview. Participate ONLINE and be inspired October 17, 18 and 19th! I have a secret. I have tried to stay away from using too many personal details on this blog. Why? Mostly because I want my situation to ideal before I share it. But, guess what? It’s not. We’re still working on it. We still have debt. Not only that, but it is (gasp!) credit card debt. Ugh. I despise it! I want it to go away. And guess what? It is! Because…we have a plan! And we are working that plan. And we know what to do. And we are doing it. We have $4,000 in credit card left to go. In January we had $8,500 plus an orthodontist debt we were making monthly payments on, totaling $1,300. We’ve come so far already! After we finish off the credit card debt we will tackle our auto loan and then our balances will be paid in full! I am sharing this because I want to say a word on commitment. I have been reading about personal finance for years. I have been creating and balancing budgets (mine, and other people’s) for years. I have been preaching about the harm debt can do, especially credit card debt, for years. And yet, I was still using my credit card. And not being able to pay off the full balance each month. Mostly the reason was because we hadn’t developed a good system to save for periodic expenses. (More on how to do that in an upcoming post! Stay tuned.) So, when the car needed repairs who came to the rescue? Good old Discover card. When it was time to make the bi-annual insurance payment, who bailed us out? Yep, our frenemy the Discover card. what ifs.’ What if there was an emergency and we needed funds? What if my husband runs out of gas on the way home from work and we didn’t have money in the bank account for gas? What if registration for the kids’ swimming lessons comes before our next paycheck? (Ha-as if these things were truly emergencies!) But, I had been asking my clients to commit to the plan, and to stop accruing debt. So…..I needed to, also!! On January 28, I knelt down and prayed. I told Heavenly Father I was sorry for living beyond my means, and for not having enough faith to use my resources more wisely, and to place my needs and desires in his hands. I told Him I was sorry for not being grateful enough (because that’s what using debt is, isn’t it? Not being grateful for what we have, wanting more than we’ve been given?). I told him that I would not be using debt anymore. I asked for His help to be able to be more wise with our plan, and to be able to meet our needs as a family. Then, I got on the computer and put a freeze on my Discover card. Meaning, I could not use it anymore! Then, I opened my budget and worked and re-worked the numbers to be sure that we were setting aside money for periodic expenses (insurance payments, Christmas, car repairs, medical bills). And since January 28, we have not accrued more credit card debt! And it has been amazing to see the abundance that we have been blessed with because of it. By abundance I don’t necessarily mean money. Somehow, we have been able to meet all of our needs, and even our wants (like swimming lessons and going out to eat occasionally). We have been blessed with extra sources of income, and the ability to work hard to take advantage of these opportunities. We have been blessed with good health. We have not been to the doctor for illness all year! With four kids that is a BIG deal! I truly believe it is because of our new commitment to be wise, grateful, and stop using debt. Our cars have been working as they should. And, I can even feel the Spirit better in our home. The kids have become more involved as we have explained to them our commitment. We have our coloring charts (thanks to http://www.debtfreecharts.blogspot.com) that we get to color in during family council. They have been more acceptable when I have to tell them ‘no’ (which I do a lot more these days). They are learning about opportunity cost – if we buy that toy today, we won’t get to go the waterpark next week, or be able to buy our friend a gift for their birthday party tomorrow. It sounds silly, but making the commitment to put away the card was harder than it should have been. But, the blessings have come because of the commitment. Our goal is to finish off the credit card by the end of this year (depending on a work bonus on top of our monthly payments, and fluctuating side income (donating plasma, doing transcription, and participating in a research study on multi vitamins, and how many hours he can get at his side job at Smith’s.))! So, what is the secret to commitment? There is no secret. It’s more than a wish, a hope; it’s more than trying, or even wanting. It’s diving in with both feet. We have been blessed because of our commitment. Everyday, in my prayers, I ask for help to be wise, and to be able to continue the uphill climb. But, our commitment is full. And the blessings are coming, because of that. First the trial of faith, and then the witness. Not the other way around. You can do it! And it will surprise you all the blessings that come because you did. I am excited for the self-reliance program the Church of Jesus Christ of Latter-day Saints has instituted! There are all kinds of help and information here, including building a business, budgeting, becoming spiritually self-reliant, time management, unemployment, and so much more! What an amazing resource for learning about self-reliance and temporal foundations with a gospel perspective. Thinking about refinancing your student loans? Are you thinking about refinancing your student loans? What is your current interest rate on said student loans? Do you have more than one? As we have started our become debt-free journey (we call it “Paid in Full” instead of focusing on the word debt, by the way), one of the first things we did was take a look at our interest rates, and see how low we could get them. Our credit card debt is at 0%, our auto loan is at 2.49% and our mortgage is at 3.75%. While 0% on a $0 balance is the ideal, until you get there lowering your interest rates will save you a ton of money in the long run, and make your payoff journey a bit shorter. I recently found an online personal finance company that offers great rates and services. You can consolidate student loans, take out a personal loan to consolidate debt, and they even have mortgages. Better yet, you can also choose to invest with SoFi. Note: If you do consolidate debt into a personal loan, cut up those credit cards so that you don’t continue to use them and acquire more debt! Why can’t I stick with my budget? An example of perception is a clean car. Ever notice that after you go through a car wash, your car just seems to drive better? I know after I get my car washed and I vacuum the interior, suddenly my car seems like it drives much better, and it’s value seems to have jumped a few thousand dollars. Did anything about the car change (except for the fact that it has less dust on it)? No. But my perception of the car changed. Budgets often fail because of our mind set when creating them and attempting to follow them. The perceived cost (emotional, self-discipline, going without, etc.) of following a budget is much higher than the perceived benefit or value. For years, until recently actually, my budget would make me anxious and feel restricting. I felt like my budget prevented me from doing what I wanted. That’s when debt entered. If a desired spending option wasn’t in the budget, I would use the credit card. That way I could get what I wanted, but my bank account still had money in it to pay t he bills, utilities, etc. I kept convincing myself that I was following a budget, because I wasn’t spending the money in the bank account. Deep down, I felt defeat every time I used the credit card, but I could justify it because each purchase was ‘necessary’ and I was gaining cash back bonus points on my credit card, which I could apply towards the credit card balance. With this mind set, the ‘cost of the plan’ or the ‘pain’ that a budget caused was too high. However, once I had finally realized that this was not the way I wanted the rest of my life to go I began to change my thinking. A few things caused my thinking to shift. One of these was the crazy amounts of second and third jobs both my husband and I were working. After his regular job my husband would go to the local grocery store and stock shelves until 2:00 in the morning. I would get up very early some mornings and donate plasma. I also picked up a couple transcription jobs and a small babysitting gig. I realized that if I didn’t stop using my credit cards and other debt, we would be on this cycle forever – working a six different jobs just to pay all the bills and the debt. Another reason for my shift in perception was my children. Two of my children were diagnosed with ADHD last year. In addition, one received a diagnoses of general anxiety and the other of mild ODD (oppositional defiance disorder). Because of this, I had been looking into interventions to help them learn coping skills and improve their focus as well as provide peace for their emotions. One thing that helped them very much was therapeutic horseback riding. It had amazing benefits and results! But, it is not a low-cost activity. I realized that I could not afford to keep taking my girls to this activity, based on our debt load and payments. This really hit me hard. So, I decided enough was enough! I vowed to live according to my budget, to live within my means. I put a freeze on all of my credit cards, so that I could no longer use them. In addition, I took my commitment to my Heavenly Father. I told him I would no longer live above the means that he had provided for us. I asked for his help to be able to continue in my commitment. All these things changed my thought on the perceived ‘cost’ or ‘pain’ a budget caused. I now saw it for what it was – rules to live within so that I could become free and have peace. Rules that would help me to be able to, eventually, achieve the things I want, and provide opportunities for my children. Now the perceived cost of a budget was no longer high and unbearable. It was, instead, a symbol of my commitment to myself, my family and to my Heavenly Father that I was grateful for all of my abundance and that I would be a better steward of the things I had been given, including my time and my finances. Why do you think it’s hard to follow a budget? Have you been able to successfully follow a budget in the past, or do you do so now? Do you know how to create a budget that will work for you? A great article while you’re waiting…. I have taken a break from the blog, in order to train and begin my job as a Financial Coach for Mvelopes. I love it!! It’s amazing to talk to people who have a desire to improve their financial situation and be able to teach, encourage and help them! Now that I have developed my new coaching schedule, I am back to working on some new blog posts, so stay tuned. “If we are to be self-reliant and in a position to share, obviously we must acquire some resources. If we live within our means and avoid debt, resources can be accumulated. There are those with average incomes who, over a lifetime, do amass some means, and there are those who receive large salaries who do not. What is the difference? It is simply spending less than they receive, saving along the way, and taking advantage of the power of compound interest.